We weren’t satisfied with the sports racing data feeds out there, so we developed our own! As a result, we’re now the leading supplier of horse racing data in the world. Now you can get a unique, in-depth overview on all well-known racing festivals and tournaments (including the Cheltenham Festival! ), daily races and exciting finish moments. 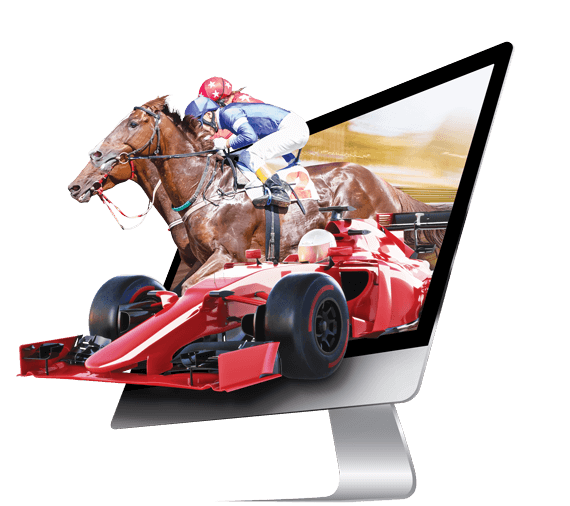 Premium Racing gives you a virtual front seat in one of the most thrilling arenas in the sports betting industry. With coverage of 1,500 daily races around the clock across 35 countries, you can easily step up your race betting game and take your customers to the finish line. We support all major markets, including race winner, to be placed, start price, tote, morning prices and more, with odds updated in real time and with a latency of less than 5 seconds. Our informative race card keeps you up-to-date on every important incident, including track condition, distance, horse form, non-running and rule 4 indication. Our racing data feeds are compatible with our OddService and SBM services. Positioned as a top leading product in the race betting industry. Wide and informative coverage for 35 countries and 1,500 daily races. All major markets are supported in real time, including race winner, to be placed, start price, and more. In-depth race information along with non-runners info. 24/7 live technology based on every major worldwide racing event. Do you offer a full race card? You bet! Our race card includes everything, from horse number to horse name and more. What markets do you support? We support all major markets, including: Race Winner, Race Winner 3 Places, Race Winner 4 Places, Morning Line, and more. Yes. Our design team created our own silks. What countries do you support? We cover unique countries for racing events, such as: Argentina, Australia, Austria, Belgium, Brazil, Canada, Chile, Czech Republic, Denmark, Finland, France, Germany, Great Britain, Hong Kong, India, International, Ireland, Italy, Japan, Macau, Malta, Mauritius, Mexico, Morocco, Netherlands, New Zealand, Norway, Qatar, Singapore, Slovakia, South Africa, Spain, Sweden, Switzerland, Turkey, UAE, United States, Uruguay and Zimbabwe. Do you offer non-runner & rule 4 information? Yup. Our informative race card includes track condition, distance, horse form, non-running and rule 4 indication.